Two facts: Estate cars have never looked so good, and Kia’s have never looked so good. 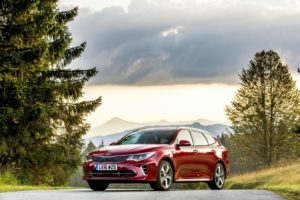 The new Kia Optima Diesel Sportswagon is stylish, smooth, and cheap to run. 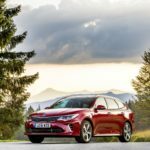 What more can you want from Kia’s first foray into the family car class? The Estate car is largely dying, but the SUV hasn’t stomped it to death just yet. And gunning for one last hurrah is the Optima Sportswagon. It’s not as practical as an SUV, and hardly as versatile. But if lengthy, spacious family cars are your thing, it’s gotta be well worth a look. Kia don’t really do fun. They never have, and unless you can afford the range-topping GT models, they probably never will. Instead, they’re a brand focused on delivering comfortable and capable family cars. And this is something they do well.